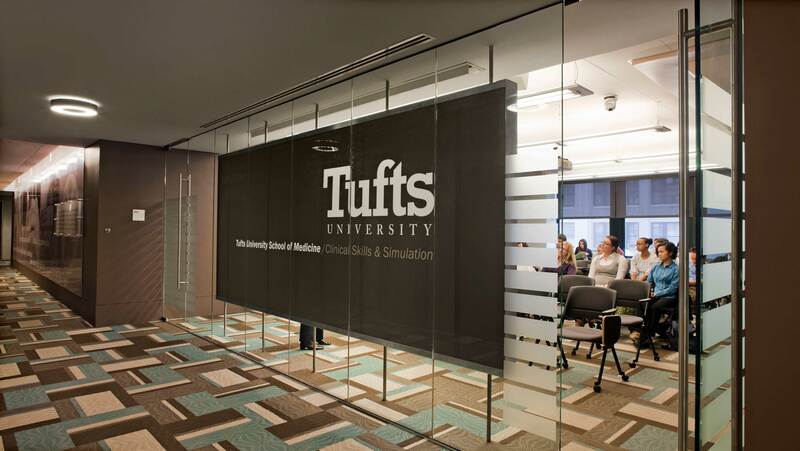 Tufts University’s new Clinical Skills and Simulation Center is located around the corner from the Tufts University Medical School’s newly renovated Sackler Center for medical education. 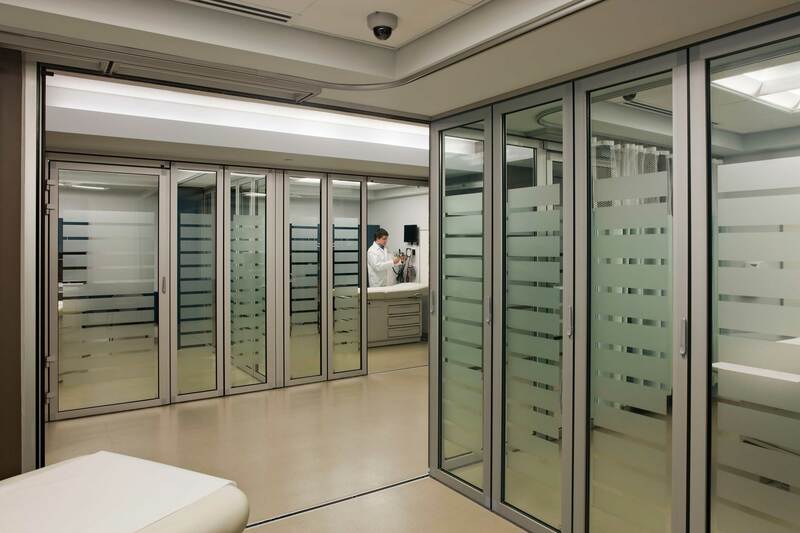 Within the confines of the third floor of downtown Boston’s 35 Kneeland Street is found New England’s newest and most sophisticated medical teaching and simulation center associated with a teaching hospital. 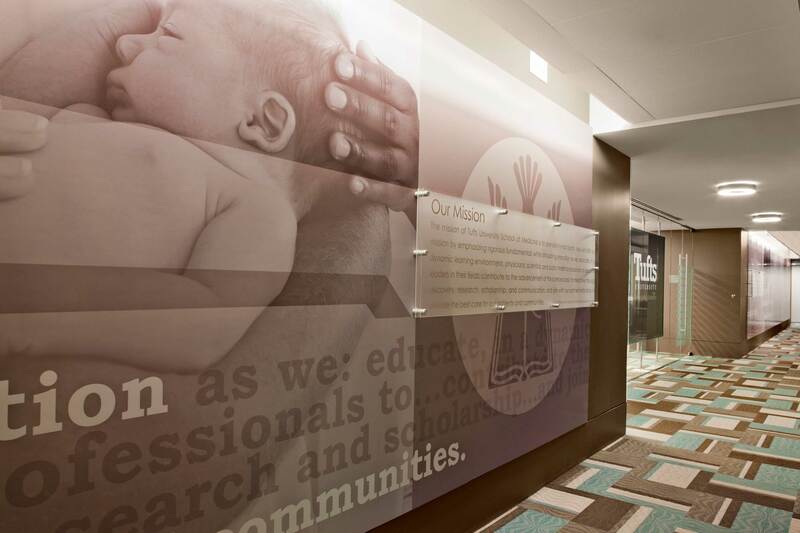 The 9,600 SF Center includes 12 clinical skills rooms for teaching, conference rooms, a multi-purpose lecture room, three simulation rooms and administration offices. 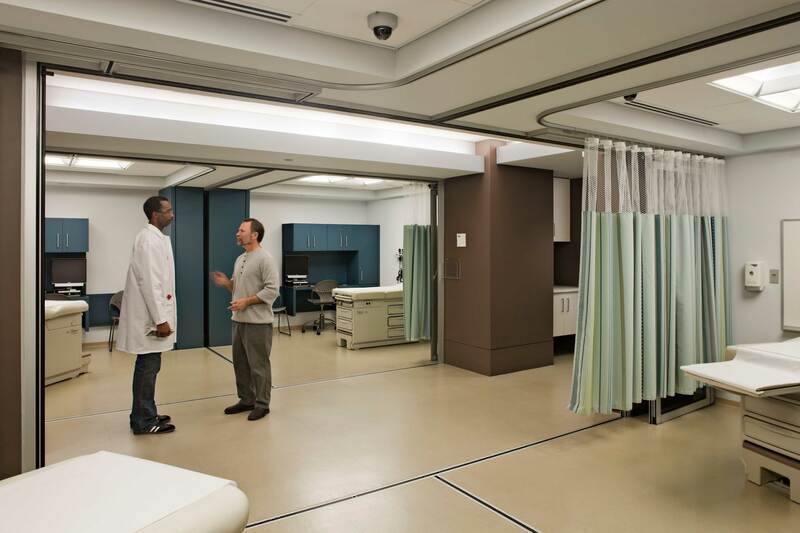 The Center is organized in two clusters each comprised of six clinical skill/exam rooms and a conference room. 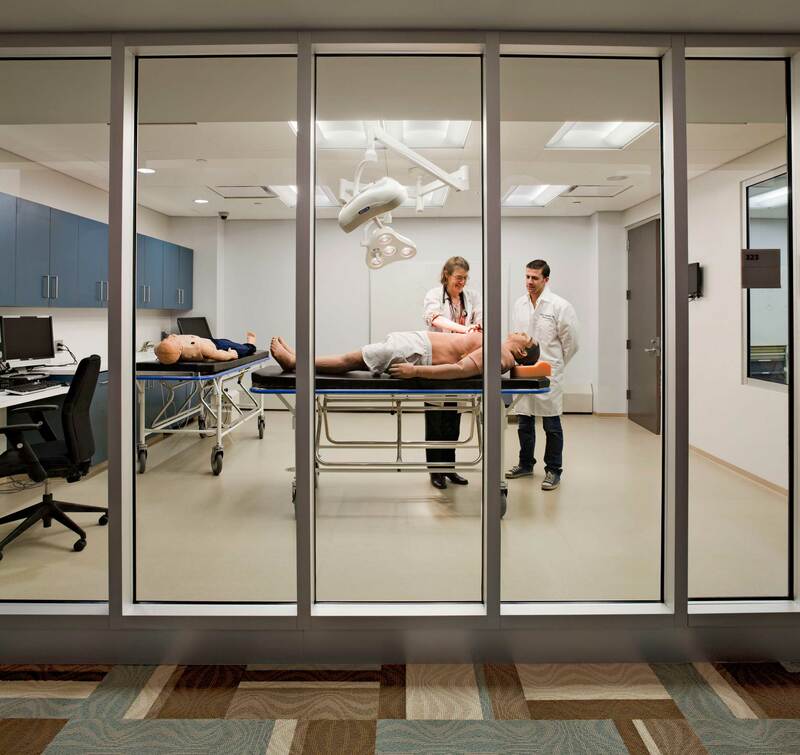 All 12 skill/exam rooms are divided from each other utilizing a sophisticated glass movable partitions system to provide the flexibility that allows for teaching and testing environments conducive to individual students, small clusters of students, or larger groupings.